I think it should be possible to make a few changes and use it. By keeping the drive below 5W and adding appropriate LPF there should be none of the issues others had seen. Adding some of the ideas for control circuitry from the ARR2012 handbook 250W PA (The one using a pair of VRF151 semiconductor about $37 each on digikey). This will add over current, over VSWR and over temperature and all three make sense to add. The KL500 T6 output transformer act as the combiner and the output of this is ideal location for the over vswr protection circuit (T2 from the other design just prior to the LPF). I think it will probably just be a simple signal relay switch that will disable the RF input in the VOX circuitry. It might make some sense to make this a latching type with an override/reset switch. An audible buzzer could be used as well. The over current I could use the same methodology and add a 0.01 ohm resistor in the voltage line and sample the current across it. The 0.01ohm resistor could be a large 2W version. Thermal protection. I have a spare 10K NTC thermistor after building a xtal oven for 472KHz transverter and I can add this to the heatsink easily enough. The KL-500 has a VOX circuit in it so there is no external PTT needed so the VSWR protection I will use to interrrupt this instead. I might short the AM/SSB switch so the linear works for SSB/CW only and not AM/FM. The LPF I have a spare PIC-A-Star LPF board and will use that. 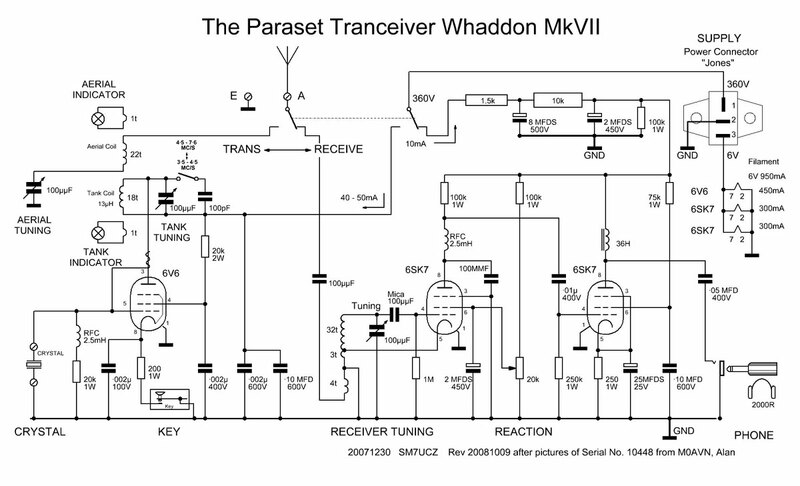 QRP OP but been sent a PA for DX trips and a plea to use. This is a complex issue but one that I will investigate. 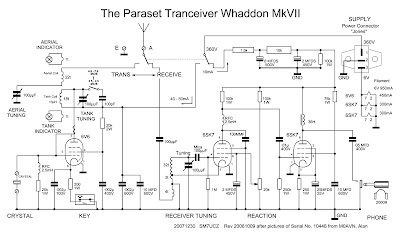 I'd rather do all trips qrp but out of the blue someone send me a PA with a type written note no explanation could I please consider using this next time I did a DX trip (for some of it at least) as they could not hear me. They went on further to suggest it might need some modification before use and suggested BIAS and an LPF. So I thought time to investigate it. The PA is one of those built by RM the KL-500. Yuk, nasty horrid CB amp I hear everyone say but I pulled up the circuit diagram and the core it is not that different from most PA's I had seen so I thought I would put any preconceptions to one side and actually test it to see if it might be of any use. Driven with one of my KX3 that I can wind right down to 0.1W and up to 10W so it is perfect to use as it also contains a two tone test. So I connected the PA output to a G6ALU VSWR meter and a 1KW dummy load. The input to my KX3. I added between the KX3 and PA and PA and VSWR two samplers so that I could display on a 4 channel oscilloscope the signal in and out of the PA and also sample the frequency spectrum. I meant to take photos but just did this quickly. I do not own a lot of test kit but I have run two main tests one is a simple repeating cw key down sending AAAA and the other is the usual SSB two tone (from my KX3) into the PA. As I mentioned the output from the PA is fed into a (I RF shielded it inside a big tin) dummy load and then sample the output on a spectrum analyser and oscilloscope input and output and see what it outputs. Obviously before going on the air I would start looking at LPF etc. I tested the amplifier on the bench briefly after chatting to someone else with a pass through (you will find a circuit for one on this blog) to a big dummy load and a sampling and used a cheap Vellemann spectrum analyser to evaluate the out of band signals up to 25MHz and an oscilloscope (tektronics 4665) to monitor the input and output. I was pleasantly surprised to find the results seemed fine from 3.5 to 14MHz and harmonics (that I could see) were more than -45dB down at least as long as input drive power was 8 Watts or less, I'd normally be closer to half that however if more was used (KX3 will go to 12W) the amplifier started to go non linear and produces lots of harmonics. No surprises (for me anyway). I measured the RF voltage directly at output and used a G6ALU VSWR meter for some of it and the power output, with 5 Watts drive manages over 80-90W and with 10 Watts drive >240W output on some bands it is not quite linear over the whole range but close (might be down to my quickie measurements), there are 6 power settings and the output appears to be much better with lower drive. Current draw at maximum was close to 34 amps ouch! and there is a lot of heat after a while but I suspect would be reduced at lower output. Adding a 12V 4" fan cooled the PA well. The final power transistors according to data sheets are capable of 80 Watts each and therefore the max power out as there are 4 should be 320 Watts if in parallel. I would still have to figure out what could I use to power it as it is not like you can plug into a mains outlet when you are on a DX beach and I suspect a car battery but I'd be prepared to stick a car battery charger in the luggage and source a car battery locally. I'll run through tests again after I have added a fan, an HF LPF and a switchable BPF and the VSWR protection circuit and post some images. It was a version that has the BIAS modification already performed but I will do the triple fuse to single fuse swap out. I did some on air tests this w/e and one evening during the week (with an LPF in place) CW only and boy does a 200W signal go a long long way! Thanks to those stations that I contacted and allowed me to wind the power up and down from 5w to 150W and were able to clarify my thoughts that 5W was not always audible, but as qrp fans we already know this, 20W was usually heard if not always understood, between 50-80w 85% copy all the time even with QSB, 100W+ reliable copy even if deep QSB on band. I guess I need to find a real DX station to test this with whilst having an antenna on the beach and do some field strength measurements too. I did not notice any 88-108MHz FM radio interference or TV (mast head pre-amp) interference once LPF used (-70dB cut off at 35MHz). Which is what locals would complain about most I suspect. Until recently if you had a full or intermediate UK licence but you had not passe an official CW test as part of the licence requirements you were not able to operate on HF under CEPT in Greece. Plenty of how do you operate in other country sites also mentioned this was the case. This changed recently but the details do not appear to have filtered through. I just confirmed this with both the President of the RAAG (Greece RSGB equivalent) Manos SV1IW and with IARU a pass in a cw test is no longer a requirement for operating HF in Greece under the rules of CEPT. So if you have a full or Intermediate licence you can operate on HF, Novice M3 and M6 are not valid under CEPT. "You will only need your U.K. License with you. Depending on the place you visit you may use the call SV1/M1KTA/M or SV1/M1KTA/P or any other SVx/M1KTA/P. For your convenience I am sending you the current radio regulation document for radio amateurs in Greek. Pages 11 and 12 (articles 22 and 25) describe operation in Greece for visitors. 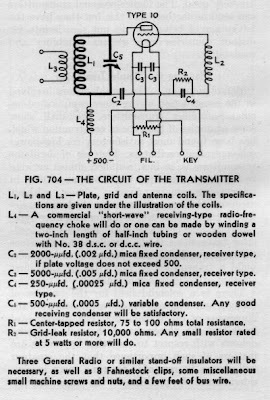 I would suggest printing it and carrying it with you..... Power for HF is 500W PEP and 100W for VHF-UHF". For any that cannot find it and are planning to visit if you ask I will send you a full copy of the Greek radio regulations. Article 22 and 25 are included below. διατάξεων αδειοδότησης των κατασκευών κεραιών. αδειών που εκδίδονται από τις χώρες αυτές. σύμφωνα με τις διατάξεις του παρόντος. This does mean that any operations that were undertaken in recent times (2003 to date) might not all be valid for DXCC or RSGB IOTA credit I would advise that you check if the station operation was valid. I have some lengths of ratty RG-213 and RG-8 that I pulled the core out of and use for all sorts of hook ups and I use the braid for desoldering, you should 'treat it first'. My Dad (67) showed me this a while ago, he located a tin (looked a bit like neutral boot polish) of flux paste, not plumbers stuff but that can work too. You paint the braid with the flux and warm it to let it run through the braid (don't heat really hot so it smokes) and let the excess flux dip off. Then allow the section (12" lengths) to cool down and put them in a plastic bag. When need it you use as if it were 'proper desolder braid. It saved a fortune and who has not got random old lengths of coax ? You could use almost any coax but the ones with untinned copper braid is best, using RG174 will give you fine braid but even TV coax braid works. A friend's laptop runs windows 7 and it started alerting that the hard drive was going to fail so could I help? They brought it over and sure enough smartdrive reports failure imminent. So I bought a couple of new drives, same model and size off ebay, I knew what these were by going into the BIOS, no point trying for a system restore with restore DVD as 100% positive they will have installed stuff (SDR, HRD, Winlogger, Skype, Win-Test etc...) after they bought it that I know nothing about and I might spend endless hours trying to put it all back together again.....and as the system is working albeit a bit slow right now. So first I shutdown and remove the 2.5" drive from the laptop and put it into a freezer bag and into our freezer over night. The following day then boot laptop using a damn small Linux live CD, with new drive in place did not format it or anything just take from static bag and fit it and put old one (it was at -18C initially) in an ebay cheap usb3 external enclosure with the cover off. The BIOS sees the new drive then booted into Linux and ran ‘dd if=/dev/sdb of=/dev/sda’ nice and simple one 320gb drive cloned to the other and they get old system back …. However this can take a while so how do you get feedback from dd? If I run the dd command in one terminal then open a 2nd terminal and run ps -ef | grep dd and find the ..... then run 'watch -n 100 kill -USR1 ' and you get the progress. updating every 100 seconds in the first window. I also wrote up instructions how once a month when there are a couple of hours when not using it insert the live cd and the usb drive with the second drive, reboot the system and run the dd command and the feedback in two terminals so creating a clone of the original drive. As the clone drive is formatted as windows they also have the option of seeing the files they created by plugging the drive into the laptop, they can use it but it will be wipped every time they clone the drive in the laptop which is fine. At least if the drive fails again I’ll have a drive ready to go too. The freezer bit… old habit if a drive was failing it often helps to hard freeze it (dry so have to protect from ice) before reading it one last time. It was still cold after 2 hours (which is about time it took to run the copy). Smartdrive after the copy says it is due to fail so I'll scrub it. The bases are fine with no cracks and two of them include the top brass nut. The threads on the brass threaded bolt look like some old BA gauge so will need to rummage to find a spare. However, I can see I could replace them with a 'new' M5 brass bolt as they are slot bolts and that can be seem from underneath. I do not have any thumb nuts which appear to be used with the original to adjust/swap the coils so I wil have a think about that. I had a chat and I managed to locate some fibre washers as they will have been use originally to secure these to the base. Two reels of air conditioning coolant 1/4" OD copper pipe for the coils were delivered yesterday. The wall thickness is more than brake pipes which are also a Nickel Copper alloy. This means I will have plenty to make 80m, 40m and perhaps 20m coils. I do not think the original were ever operated on 30m but I might make up a 30m coil set. A bag of lozenge caps and a couple of vintage grid leak resistors make up the rest of the components along with some paxolin based 5 pin sockets (I will have '27 tubes) were a donation from another amateur. I have a backup porcelain UX-5 base as well. At the Borne Airfield market on Easter Monday I picked up a nice cheap wooden broom handle that is the right diameter for the grid coils that I will cut down. I'll use some of the same varnish on them that I used for the workshop worktop which is rock hard now. And I have some long bolts I will use to connect them into the circuit if I do not use these little stand offs. Several have commented that the HT should be shunt fed which is what I will do. The PSU transformer I might wind one specially for it but I have some 'glowbug' type transformers with an almost 1:1 mains 240V to HT so I could use a voltage doubling circuit and there are separate filament windings. GQRP Valve day is 21st April... lets hope can get it on the air in time. Just stuffed the PCB based on Mike Rowe's layout. Some of the PCB transistor layouts seemed to be reversed and TR8 was definitely needed to be 'tweaked'. I also have one of Ed Dinning transformers so I will not use the 35V on board transformer as the transformer has the windings in it. The rest of the Rapid order has the other components. I'll start panel bashing soon... I think might make it into an A4 (ish) size flight case so it can be closed up and carried easily. Ran into Geoff Wilkin G0DDX last night at camb-hams pye and pint , white horse in Barton. He has fabricated a number of laser cut panels for wooden box type parasets. I'll make one up from bits I have. Very quick demo of the DVM used a as a frequency counter. It is not hyper accurate with lots of digits but it does work.It will give 10KHz resolution above 10MHz and 1KHz below... it will go down to audio frequencies as well but not got a video of that.